Home » Our Doctors » Christine Bartoletti, O.D. Dr. Bartoletti received her undergraduate education at Hamline University in Minnesota. She obtained her Doctor of Optometry degree from Pacific University College of Optometry, graduating with honors. In addition to her optometry college education, she completed a one-year residency program at the Veterans Hospital in Portland, Oregon, receiving specialized training in ocular disease and geriatric care. Dr. Bartoletti practice full-scope Optometric care, with extensive experience in primary eye care, Glaucoma treatment, Diabetic eye care, and Contact Lenses. Dr. Bartoletti is the founder of Vista Eye Care. She is a Diplomate of the American Board of Optometry, the Vision Source Administrator for Southern Arizona and serves on a consulting panel for Transitions lenses. She is also an active member of the American Optometric Association, Arizona Optometric Association and Southern Arizona Optometric Society. Dr. Bartoletti has been providing eye care to Green Valley and Sahuarita residents for almost 20 years. 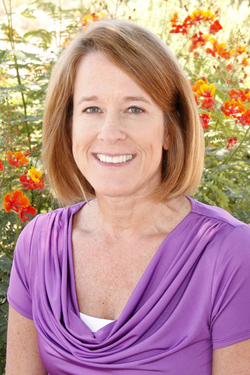 She is a longtime resident of Green Valley and enjoys hiking and traveling during her free time.